Life, loss, and love: Journey marked by struggles with mental illness and love affairs. “The Day, Month, and Year” by Jade Ashcroft, is a memoir of personal discovery of the correlation of life events linked to planetary patterns and numbers. 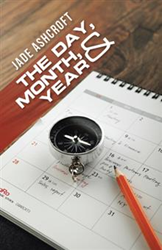 Offering insight into past and future, new book, “The Day, Month, and Year” by Jade Ashcroft, is a memoir of personal discovery of the correlation of life events linked to planetary patterns and numbers. With over twenty-seven years of study and practice in astrology and a background in counseling, Ashcroft seeks to give readers an understanding that can provide meaning and answers to anyone seeking to know more about the interconnectedness of life. Ashcroft reveals real evidence about the knowledge that can be gained through the study of the planets and numbers as they relate to our lives. Dates—particularly birth dates—can offer insight into ourselves and can guide us as we seek to make sense of the past and present as we move forward into the future that is ahead of us. Ashcroft works full time as an Astrologer, Counselor, Reiki Practitioner, and Author. “This journey of understanding the planets and numbers has given meaning to the events of my life, both good and bad, and has given me much comfort,” Ashcroft said. Jade Ashcroft has practiced astrology for more than 27 years and has in that time observed a powerful connection among the planets, numbers, and ourselves. She holds a diploma in professional counselling and lives with her husband on the Gold Coast in Queensland, Australia.